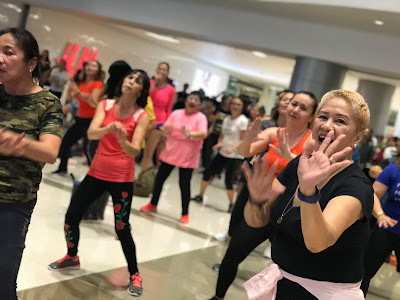 Last July 20, 2018, FITFIL (Fit-Filipinos) coaches and fitness experts Jim and Toni Saret kickstarted the “Festival of Fitness,” at different areas of Festival Mall’s chic new Expansion Wing. 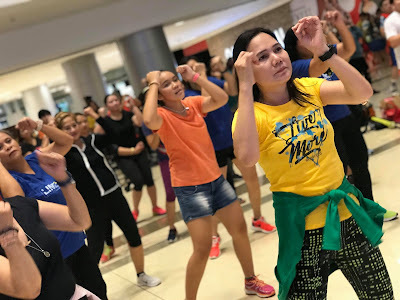 The six-month-long fitness campaign is made possible by collaboration with FITFIL National Weight Loss Challenge, the country's biggest and nationwide health, fitness, and wellness movement. 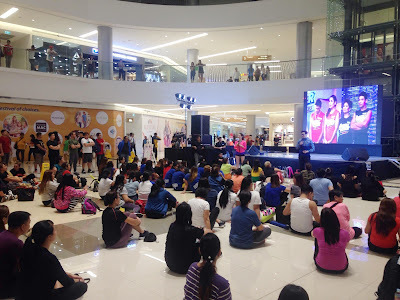 Festival Mall has always been on the forefront of various health and fitness programs in line with its aim to educate and inform mall goers and the public in general. With “Festival of Fitness”, the Festival Mall embarks on a strong partnership with celebrity coaches and wellness advocates, Jim and Toni Saret, to conduct various fitness programs in the mall. The event brings together health and fitness enthusiasts to undergo a variety of workout experiences that would inspire them to take on different fitness goals. Among the highlights of Festival of Fitness is Groove Fit (Dancing/Aerobics) at the Upper Ground Floor (UGF) Expansion Hall. Perfect for those seeking to focus on areas like weight loss, muscle toning, balance and coordination, and endurance, the Groove Fit program will be held every Monday, Wednesday, and Friday. HIIT (High Intensity Interval Training) Fit, on the other hand, will focus on fat burn, strength, endurance, and muscle definition. This program will be held Mondays, Wednesdays, and Fridays at the UGF Civic Drive between Coffee Bean & Tea Leaf and Starbucks Coffee. Joining the Sarets husband-and-wife team at the Festival of Fitness are coaches Bismark Naling for group exercise, Oman Jayke Huerto for HIIT, Paolo Martin Lalas for Zumba Fitness Dance, and Kenneth Colubio for Pilates/Yoga.